If you want to take benefit of your collected leads and target specific customers for services or products then, you should try using Email Enrichment Tools. Basically, email enrichment tools are implemented in any business when the need for more elaborated data and refined customer details arises. Using those details, you can conduct campaigns which are more specific and targeted to your business. Here, we have listed and defined some of the most popular email enrichment tools which will allow you to extract personal info through various mediums (Email, Phone Number, Address, Location and more). With these small resources, you get a huge amount for information like name, age, work details, social existence, and much more, you name the detail these services provide it. That’s not all, we have also worked hard to bring the most affordable service which are currently available in the market. In this blog, we have mentioned all the details of the listed services. But before that have a look at the comparison table as well. BeenVerified gives you access over public records as well as personal information which is available on the web. It offers a simple dashboard, faster services at an affordable cost. With this email enriching service, you can use different mediums like email ID’s, address details, phone number and people search to extract details. In addition, you also get free apps for iPhones and Android devices for anytime, anywhere record access. Single month membership plan will cost you $26.89 for a month. For the payment of this plan, you can use PayPal payment gateway or you can also use credit/debit card as well. The 3-month membership plan of this service comes with a price tag of $17.48 per month. A total amount of $52.44 will be payable for the full access of this service. You get four different ways to search personal details about an individual via email address, phone number, address and people search. This plugin has access to the public record as well which help you get more accurate and authentic information. Unlimited background reports, contact info, phone lookups, criminal records, etc can be collected with this help of this email enriching service. Plus, you get notifications in case of variation or any type of updates. With BeenVerified you can simply conduct background checks, public records, and people search. With FullContact enrichment software, you get various search options like email address, phone number, or social profile to get the most beneficial information about any individual. FullContact has designed separate plans for individuals, businesses, and partners as well. It provides an easy to use dashboard from where you can search and filter information collected from reliable social platforms and other online The 3-month mesources. Allows you to get enrichment data from Google, iCloud, Outlook, LinkedIn, and file import. You get full fledge API key with the help of which you can integrate this service entirely in other software to simplify working procedures. This service also permits you to scan business cards of individuals in bulk to fetch details and useful information. Basic Plan:- This is an entirely free plan offered by this service with the help of which you can lookup 100 contacts every week. Premium Monthly Plan:- For this plan you have to pay $9.99 every month and it allows 250 contact lookups each week. Team Monthly Plan:- This plan will cost you $12.99 on monthly basis. With the help of this plan, you can look up 250 contacts with other advanced filters and facilities. Premium Annual Plan:- It offers the same services, but the price is charged annually which is around $100. You can enjoy discounted price with this plan. Team Annual Plan:- Same amount of features and services are offered at a discounted price of $120 approx. 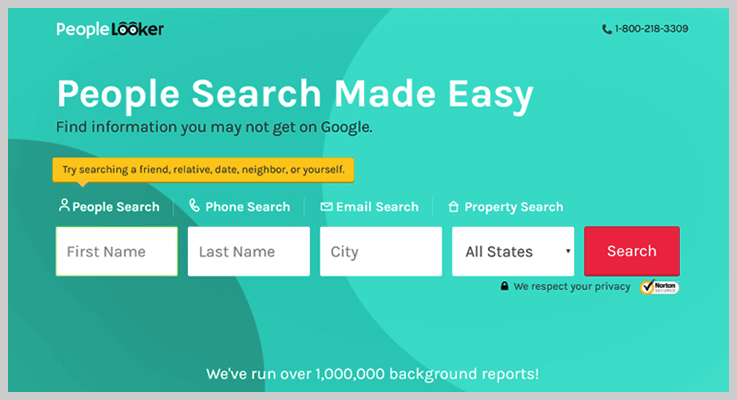 With PeopleLooker enricher service, you are allowed to perform people search, phone search, email search as well as property search. It is equipped with advanced facilities as well, but the only limitation is that. 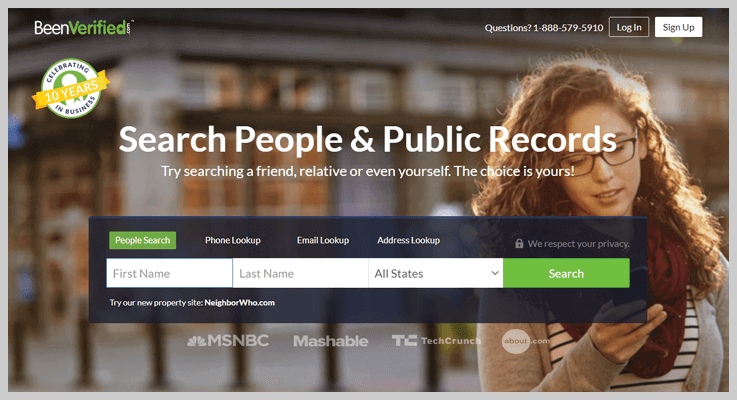 This service can only do the personal search for people who are located or resident of the USA only. Its services can’t be applied globally. So, if you want to search social media profiles of people and want to get details of friends, relatives and other people in USA, the PeopleLooker will be the best option for you. PeopleLooker will cost you $18.28 for the monthly plan with which you will get unlimited reports with multiple advanced filtrations. The 3-month membership plan is priced $43.86. Using which you can enrich email lists and fetch contact details with a few clicks. Allows you to search personal details and relevant information using different sources like people search, phone search, email search and property search. It will provide background reports, names, criminal records, date of birth, phone numbers, court records, etc about a person with ease. With this email enrichment tool, you get an Android app, iOS app, and developer API as well. 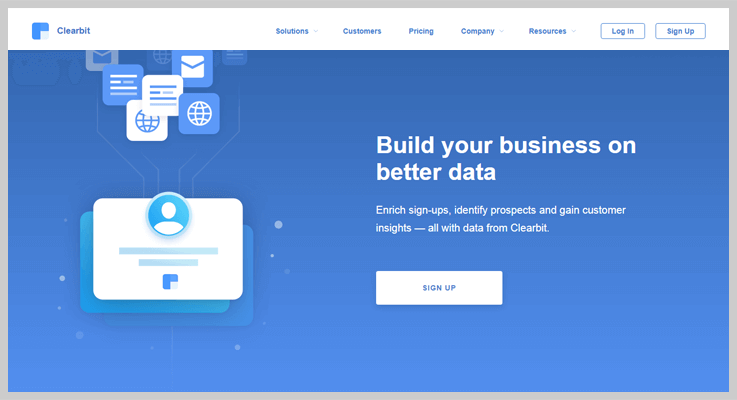 Clearbit helps you get more detailed and accurate data about a person just through an email address. It reduces your time as well as efforts because data in this service automatically appear in Salesforce, real-time data updates are provided. This software is easy to integrate as it comes with an advanced API using which you can turn an email address into a fully details personal profile. The first API plan for this service will cost $99 for the filtration of 2500 requests every month. The second plan charges $149 for 5000 contact requests per month. You have to pay $199 for 10,000 requests each month with this plan. $499 is the price which is billed for 25000 requests per month for this plan. With Clearbit you can have more than 85 unique fields which hold information like full name, email address, location, avatar, company, employee size, job title, role, etc. 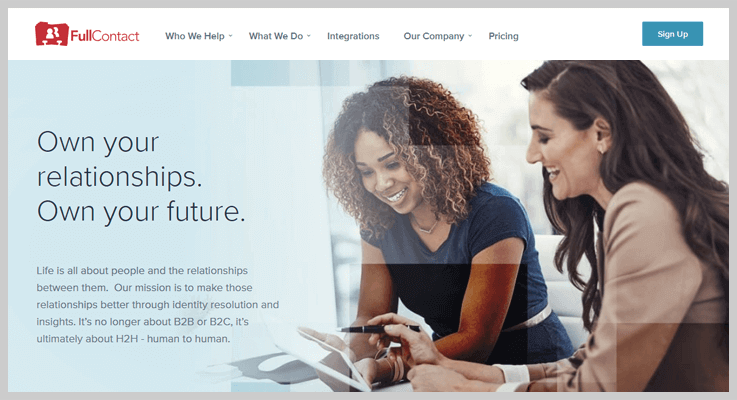 It offers APIs through which you can easily add person and company profile data to create new workflows, features, and products. This service helps you fetch data with an email address or corporate domain in real-time anytime and from anywhere. The information delivered is been verified from 250 public as well as private sources which confirms accurate information. 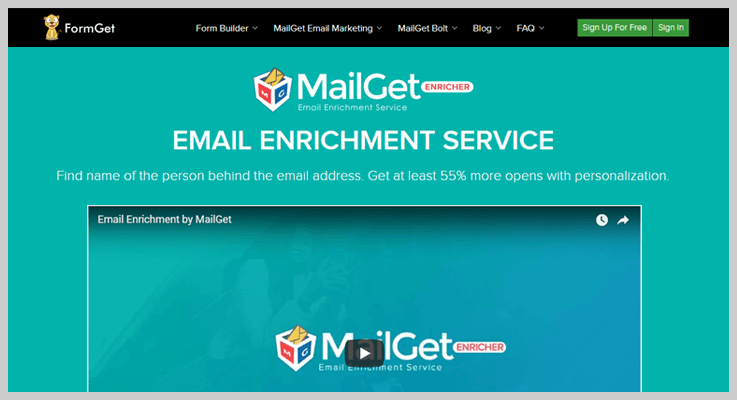 MailGet Enricher is an easy to use email enrichment tool as you just have to upload the list on emails which you want to get filtered and refined list with all the details will be reverted back within a limited time period. This is a time effective service as the data is fetched & returned at a lightning fast speed. Plus, MailGet Enricher cost you the lowest whether the list is big or small. All the details are fetched from the most reliable sources and network platforms. For its Starters plan, you just have to pay $4/m for 200 email filtration. The Rookie plan charges $19 per month and then, you will get a list of 1000 emails filtered with ease. Using the Advance plan, you can get a list of 10,000 emails just by paying $175 per month. If you are expecting quality and quantity both from an email enrichment tool, then your choice should be MailGet Enricher. As we have personally used it to get personal details through emails for our business. The details were accurate, well elaborated and fast delivery was there. Another reason for the recommendation is, you just have to provide the email contact list rest all the tasks will be performed and details will be delivered at your email address automatically. All this will cost you JUST 2 Cents Per Email. This email enrichment tool will enable you to fetch personal details which are accurate just through an email address. Deliver filtered details like name, age, gender, location, company, occupation, photo, LinkedIn, Facebook, Twitter, MySpace and many more. This plugin uses sources like Linkedin, facebook, twitter, Pinterest and other reliable networks to gather information. With this email enrichment service, you can have more than 30 personal details generate about a person. Finally, we have arrived at the end of this article, as we are all aware that email enrichment is a critical issue as the information delivered through it is extremely beneficial for any business. So, make your choice wisely as we have defined some of the best services which are equipped with tonnes of features, free trials, and other facilities. Still, if there are any type of doubts or queries roaming in your mind, do let us know in the comments section below. We will be happy to hear from your side.